Yes, they’d look fine covered in paint. Just imagine you design these bad boys, you may not want to say or see how bad they are. But what about the person who authored them to be made and sold!! Did they even look at them be saying yes! How were these ever 80£? 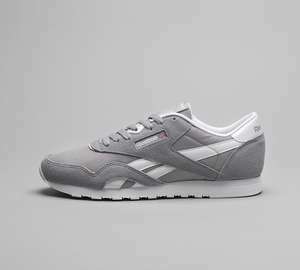 Reebok Friends & Family discount offer 25% OFF, works on outlet too. Everything I tried to get was not included in the promotion. Shame. Could have been a great deal. Ta, just placed an order! 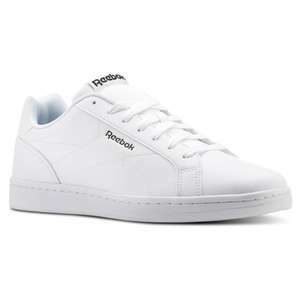 What are you chavs wearing these days? Yeah it’s such a shame that voting on clothing and trainers is decided now on wether an individual like that particular brand or style. Not on the massive discount making it a deal. It’s made me think twice about bothering to post deals and I haven’t. There are some good saving to be had in this sale i’ve just been looking through but this deal hasn’t got much heat which is strange. Your link still hasn't actually answered my question...so thanks for nothing really. I polish my boots every other night, I like to look smart . Expired? Sorry, but time is up for this promo code. It has expired and can no-longer be used. Ordered those they arrived today, really nice pair of trail shoes good fit and a great price! Back in stock, plenty of sizes. if you want a name on them it says it is free and then when you go to add a name on each foot it is £5 each ! It was posted on 17th and there were more sizes then. They're down to the last few pairs most likely. Arrived today. Pretty happy with them! 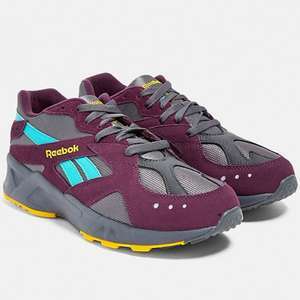 Have a pair already and bought another as these a light and comfortable for the gym. You can simply tighten up the laces through each loop to tighten/loosen them in general. I find the trick is to get them tight enough so they'll stay on securely, but loose enough so you can slip them off without needing to untie the laces. At this price you've got to take some risk :) You can always exchange them for a smaller/ bigger pair if they don't fit. MandMdirect as a seller are excellent for returns/exchanges. No clothes hanger comments yet! Mine came 12th from Sports Direct for £305 inc. delivery. Set it up and it's not that loud at all. Folds up fairly nicely. Pretty sure it's a good buy. Parts came in two days, arranged visit via text with engineer, he was only here 25 minutes and job done. A 1st class service. All fixed and good as new. probably it is sportsdirect company. same ui for login/join. back on site for £300 ! Hurry! 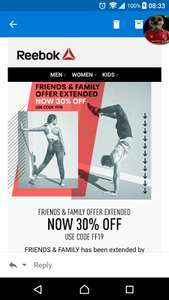 Enjoy 50% off* everything in Reebok Outlet. No problem and thanks for doing.